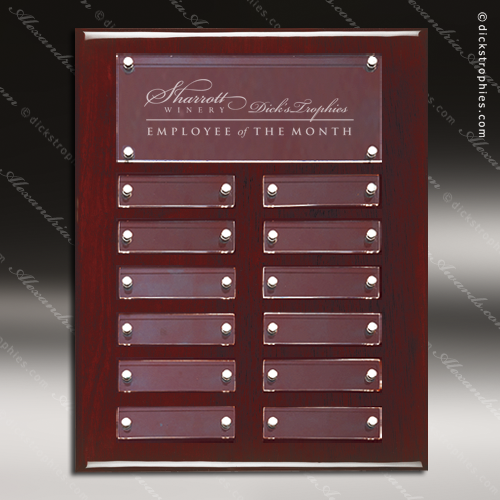 The Tagala Rosewood Perpetual Plaque 12 Floating Acrylic Plates. 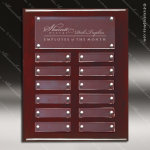 Rosewood high gloss plaque with acrylic engraving plates. No tools required, plates can be changed by hand. Individual plates are 7/8” X 2-3/4”. Individually boxed.